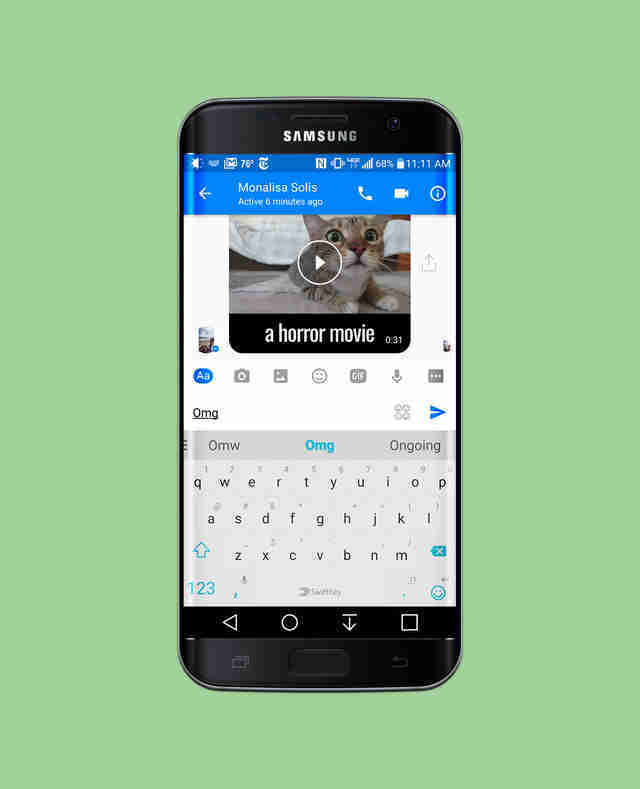 Custom keyboards have been a thing on Android for years now, and while iPhone users are starting to see the light, there are still plenty of Google OS users who've yet to discover there's more to texting than the standard tap-tap-tap methods you get right out of the box. 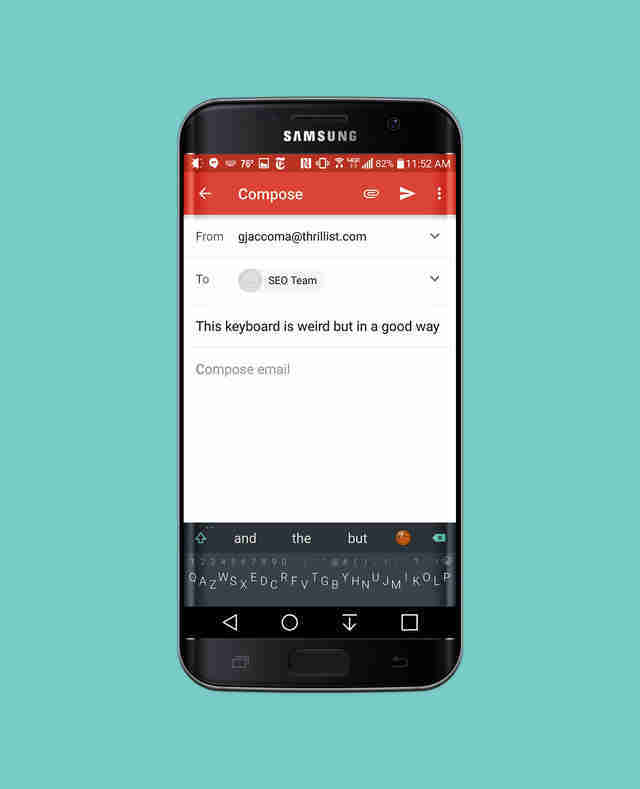 Here are a fistful of the best Android keyboard alternatives out there, offering everything from color customization and unconventional layout tweaks to double-finger swipe typing and next-level word suggestions. Unless you happen to own a Nexus device running stock Android, the keyboard that came with your phone probably contains a few quirks thrown in by the manufacturer (LG, Samsung, etc.). Fortunately, Big G's official keyboard offers a clean, uniform option that everyone (not just Nexus users) can download. It includes features like optional key borders, one-handed mode, and adjustable keyboard height. You can even swipe left from the delete key to remove as much (or as little) text as you want, depending on how quickly you move your finger, which is a feature you probably wouldn't know you needed until you use it for the first time. 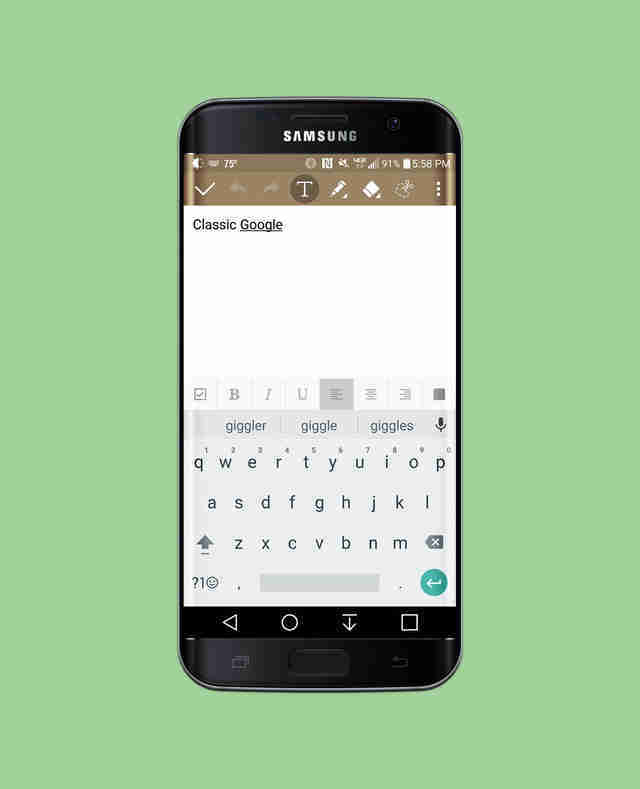 Based off the ever-reliable Google Keyboard, Chrooma provides extra customization features like the ability to add a dedicated number row, or enable Night Mode to dim the keyboard theme based on ambient light. Chrooma also adds the neat thematic twist of altering its color scheme to match whatever app you happen to be typing in. Plus, if you pay for the pro version, you'll unlock a suite of additional abilities including multi-language support, custom keyboard layouts, and custom fonts. If you love swipeable keyboards, but you wish they were even more swipeable, check out Nintype. 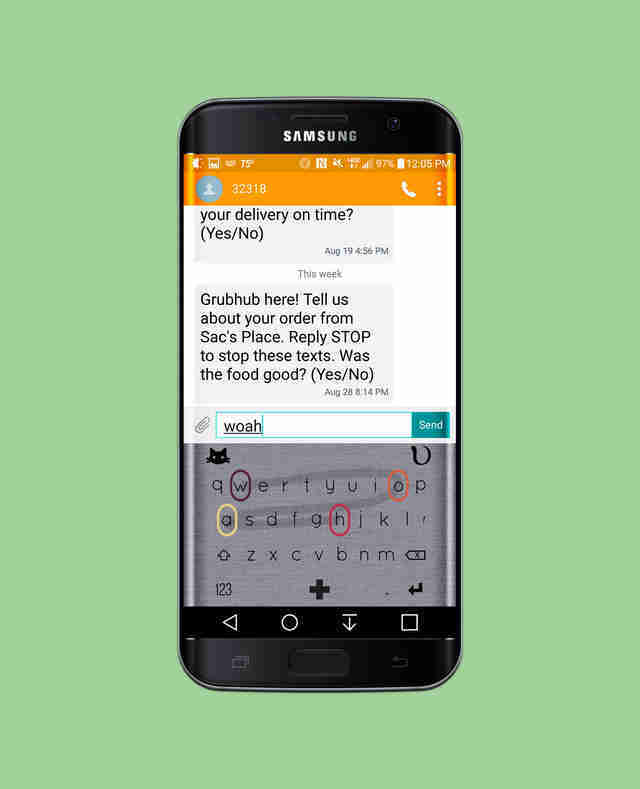 Not only can you swipe to create words as normal, but you can use combinations of swipes and taps -- with both thumbs -- to create the words you're after. Truthfully, it's got a bit of a learning curve, but once you get the hang of it you'll wonder how the hell you only swiped with one finger in the past. Note: Nintype's not currently available in the Play Store, so you'll have to enable your phone's ability to install apps from unknown sources (Settings> Security> Unknown Sources), then download the APK file and install it through your phone's File Manager app. 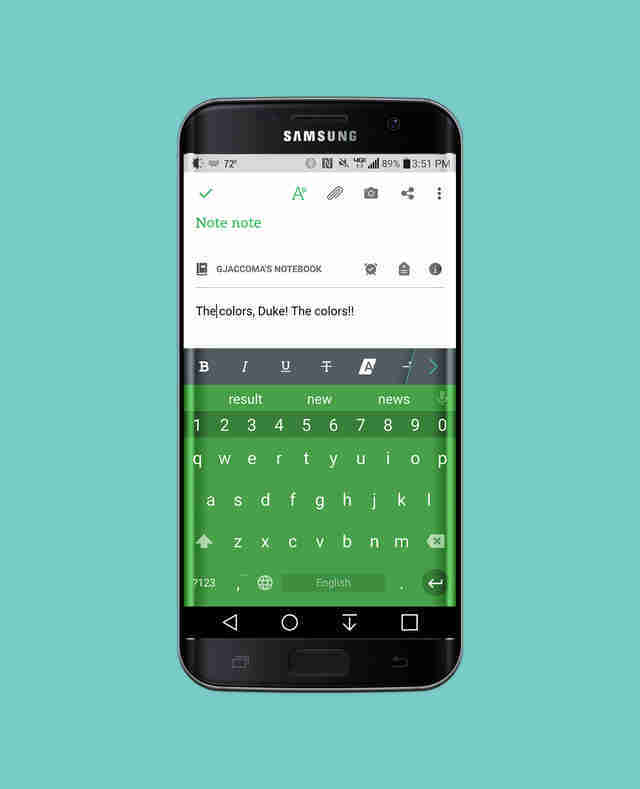 What it does: Gets rid of the actual "keyboard"
One of the weirder options out there, Minuum aims to provide as much visible screen as possible by shrinking the entire keyboard down to a single line of staggered letters. Hell, you can even get rid of the space bar for maxed-out minimalism. If it sounds weird, that's because it is -- but the extra screen space is a nice bonus, and if you're a quick learner you'll find that Minuum's layout isn't as alien as it seems at first blush. 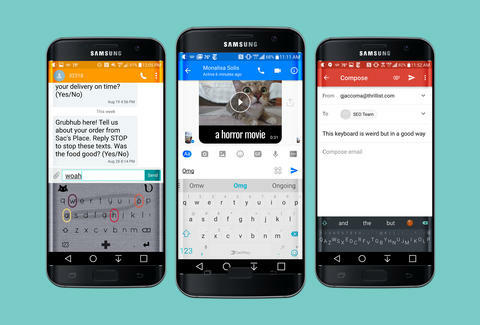 Every keyboard on this list offers autocorrect and next-word suggestions, but Swiftkey's machine-learning algorithms provide far more accurate results than most. That's because it uses dynamic contextual information to get to know (and account for) your own personal typing style. In other words, your days of accidentally writing "ducking" are at an end. 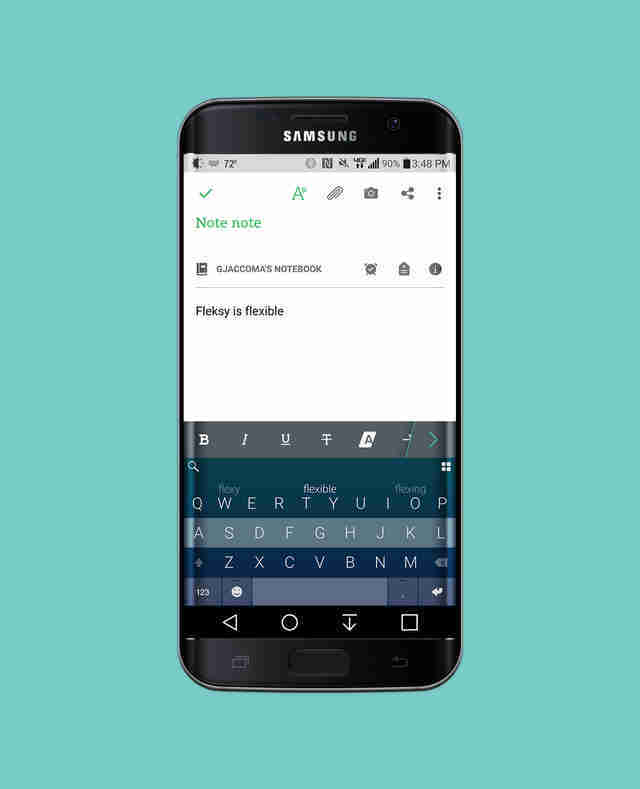 In addition to the ability to resize the keyboard to suit your needs, Fleksy's claim to fame is its use in setting the Guinness World Record typing speed of Marcel Fernandes Filho. Filho not only set the original record (18.19 seconds) in May 2014, using a Samsung Galaxy S4, but broke that record six months later using an iPhone 6 Plus. Will you type as fast as him? Unless you're a Brazilian teenager with fingers like greased serpents, probably not -- but it won't be because Fleksy couldn't keep up with you. Gianni Jaccoma is an editor for Thrillist, and has been known to type "ducking" on purpose for comedic effect. Follow him on Twitter @gjaccoma.